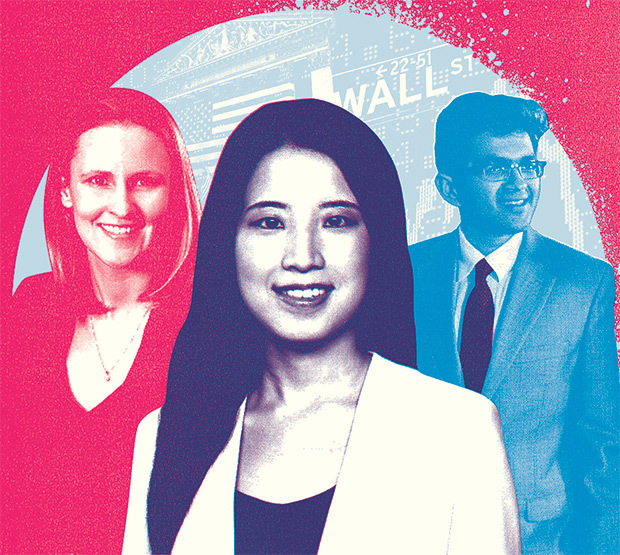 Our newest hedge fund rising stars have succeeded in a difficult year thanks to a potent combination of integrity, passion, and commitment. The daughter of first-generation Irish immigrants, a son of Indian immigrants, a Saudi national, and a woman from a small city in southwest China. 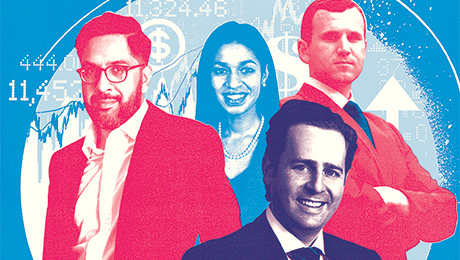 All are among Institutional Investor magazine's Hedge Fund Rising Stars, class of 2017. Hedge funds have benefited from and have been made stronger by immigration. As in previous years, the 2017 pool of up-and-coming talent reflects that diversity. The 30 members of the 2017 list of Hedge Fund Rising Stars will be honored as part of Institutional Investor's Hedge Fund Awards Dinner in New York on Wednesday, June 21. They were each nominated by their peers, with the final selection made by Institutional Investor's editorial team. These Rising Stars represent the core values of integrity, passion, and commitment and make up the very best of the hedge fund industry. We are proud to celebrate them here. The City of London was booming in 1999 when Alexander Ahari got his first job in finance at the tender age of 20. He joined Capel Cure Sharp, the asset management arm of a large U.K. private client brokerage. Ahari, who grew up in Hastings, East Sussex, got his start working in the middle office. 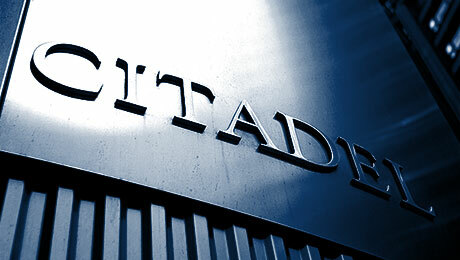 After Capel was acquired, he was asked to join Attica Asset Management, the multimanager division of U.K.-based Threadneedle Asset Management. In 2004, Ahari left to became part of a team building a new fund-of-hedge-funds business, Eddington Capital Management. But the fledgling firm was unable to survive the mass contraction of the industry post-2008 and shut down in 2010. For Ahari, now 38, the closure created new opportunities. After more than two years as an independent hedge fund investment consultant, he joined Redington, a U.K. investment adviser with more than $400 billion ($520 billion) in assets under advisory, as a senior vice president working on illiquid credit, private debt, and specialty finance portfolios. Mentorship means a lot to Brooke Beck. After graduating from Penn State University with a BA in pre-law and criminal justice, Beck was all set to go to law school – until she realized she didn't want to spend three more years in a classroom. Instead, Beck, who grew up in New Jersey, decided to try to get a job in finance. She succeeded, joining U.S. Trust Co.'s private wealth group in the summer of 2000. There she had an amazing mentor whom she followed to Mellon Financial, though she soon left to join Goldentree Asset Management. In late 2008, Beck joined Och-Ziff Capital Management, where she helped the New York-based multistrategy hedge fund firm diversify its investor base. She also became part of Och-Ziff's senior women leadership group, helped the firm structure its family leave policy, and mentored younger women at the firm. Last year, Beck, 38, joined Marcato Capital Management, a San Francisco-based, $1.5 billion activist hedge fund firm, as head of investor relations. While studying for a degree in physics at the University of California, San Diego, Ben Block learned to code. A series of jobs as a software engineer at start-ups in San Diego, where he grew up, followed. One of those firms, Cayenta, developed technology for utility companies. Having succeeded in start-ups, Block decided to go to business school, earning his MBA in finance and economics from NYU's Stern School of Business. Getting into finance was not the plan, but Block was interested in renewable energy. In 2007, while at business school, he wrote an award-winning paper entitled "Using Project Finance to Deliver Clean Energy to Emerging Markets." That paper helped Block secure a job at Ardsley Partners. The hedge fund firm was ramping up its renewables fund, and Block, 39, has been working on that fund ever since. He is now a partner and is also board chair and former executive director of Top Honors, a not-for-profit that provides free math tutoring to disadvantaged middle school students in New York. Steve Blundin, 34, does not have much of a defined benefit pension plan, even though he has been with Verizon Investment Management Corp. for 12 years. Blundin joined the investment management arm of the telecommunications firm in summer 2005, after graduating with a double major in economics and business from Muhlenberg College in Allentown, Pennsylvania. But Verizon Communications, which moved its asset management group to Basking Ridge, New Jersey, in 2006, froze its DB pension plan for management employees the same year Blundin arrived. Since then, Blundin, who grew up outside of Philadelphia, has risen through the ranks at Verizon Investment Management. Having originally joined in operations, he became an equity analyst in 2006, then moved to hedge funds in 2009. In August 2013 he was officially made head of the hedge fund portfolio – a challenge he has enjoyed. His responsibilities also include other alternatives strategies, such as commodities and risk parity. Growing up in Atlantic Beach, Long Island, Adri Chaikin was surrounded by a menagerie. Her father was a vet, and their pets included seven or eight dogs, two turtles, several birds, and some snakes. Chaikin graduated from MIT in 2003 with a math major and an economics minor. She started her career as an analyst in the quantitative team of Goldman Sachs Group's Global Alpha group. After a little more than a year with Goldman, she joined a new private equity team being formed at Lehman Brothers. When Lehman filed for Chapter 11 bankruptcy in September 2008, Chaikin chose to be part of the team that stayed on to help with the wind-down. She ended up working for the bankruptcy estate for more than three years. Chaikin then worked for Pine River Capital Management before going over to the asset allocator' side. She joined the investment office of New York Presbyterian Hospital in 2014, where she is director of investments. Now 36, Chaikin lives in Manhattan and has one dog, Stella. Back on Long Island the turtles are still going strong, as is one snake. The first days of June will be Martha deLivron's last as a senior investment analyst for absolute return strategies with the $25 billion Texas Municipal Retirement System. At 35, deLivron is moving to Hong Kong to join the marketing and IR team of Chinese hedge fund Oxbow Capital Management. She knew from an early age that she wanted to go into business, so she attended Babson College, a private business school in Wellesley, Massachusetts. After school, deLivron worked as research analyst with Birinyi Associates before moving to New York and joining fund-of-hedge-funds firm Permal Group, now EnTrustPermal. During her time at Permal, she spent three months working out of the Singapore office and traveling to Hong Kong. After close to ten years in funds of funds, deLivron felt it was time to do something different. While trying to decide between hedge fund marketing and working for an allocator, she landed a job with Texas Municipal in Austin, Texas. Now she is ready for a new challenge. All eyes are on Pelorus Jack Capital, the new hedge fund launched this year by Tim Garry and a team from San Francisco-based hedge fund Passport Capital. Garry left Passport in June 2016. He had been co-portfolio manager of Passport's long-short and liquid long-short equity strategies and head of the portfolio construction, risk, and quantitative strategies team. After coming to Passport from State Street Global Advisors in December 2007, Garry also set up the hedge fund firm's risk management and portfolio construction systems and served as head of risk. A graduate of Boston College, where he earned an MBA in finance and a bachelor's degree in philosophy and English, Garry, 37, now has the opportunity to build his own hedge fund on his own terms. With him are head trader David Tillman and head of investor relations Greg Leograndis, both of whom also previously worked at Passport. Not many have had the opportunity to work alongside legendary buyout-king-turned-activist-investor Carl Icahn. Given Icahn's notoriously prickly and combative public profile, many would not want the job - but it was the making of Nick Graziano. The New Jersey native went to work for Icahn in 2004, having graduated from Duke University with a BA in economics a decade earlier. He helped Icahn build his activist hedge fund and while doing so got to know Icahn's lieutenant Keith Meister. Graziano then went to work for Tom Sandell at Sandell Asset Management, where he ran a $3 billion special situations group. In 2010 he was working at Omega Advisors when Meister asked him to join his new firm, Corvex Management. Graziano, 45, jumped at the chance, going on to spend over four years at Corvex before leaving in spring 2015 to co-found his own activist hedge fund firm, Venetus Partners. Venetus is now in the process of returning capital to investors, and the two partners plan to go their separate ways. Ed Hetherington joined UNC Management Co. in Chapel Hill, North Carolina, in the late fall of 2014. He had previously spent more than 14 years in the pension office of UPS. Hetherington, 37, joined UPS straight out of the University of Pennsylvania's Wharton School, where he earned a BS in economics and was a member of the University of Pennsylvania crew team. After a summer internship at UPS - one of the top corporate pension plan investors in the country - Hetherington was hired as an analyst in the mergers and acquisitions group. By 2010 he rose to become director of public markets. At UNC, which manages the $2.8 billion endowment of the University of North Carolina, Hetherington is managing director of public markets investing. When Cameron Khajavi, 39, married his fiance, Victoria, earlier this year, John Legend performed at their wedding. Khajavi and Legend, whose given name is John Stephens, had become friends during their early days as young business professionals in New York. While Legend went on to a dazzling music career, Khajavi, who grew up in Houston, Texas, has become a star in his own right - in hedge funds. Before attending business school at Duke University, Khajavi worked as an investment banker at Lazard. Once he received his MBA, he joined Citadel as an analyst specializing in consumer and technology stocks. In 2014 he went to Blackstone and launched his own hedge fund business, MIK Capital. MIK, a long-short equity fund, is currently running a roughly $300 million separate account exclusively for Blackstone, but is looking to raise capital from outside investors as well. New York-based New Holland Capital Management, the hedge fund investment arm of $470 billion Dutch pension plan ABP, is one of those best-in-class investor groups highly regarded by those in the know but which tend to fly under the radar of the less well-informed. Ryan Kus, 33, came to New York by way of hedge fund consulting firm Albourne Partners. After graduating from Michigan State University in 2002 with a double degree in finance and economics, Kus got a job with the National Futures Association. The position involved a lot of regulatory work with hedge funds, and Kus got to know the industry and the way it operates. In 2012, he relocated from Chicago, where the NFA is based, to New York and got a job in due diligence with Albourne. By fall 2015, he had landed as director of operational due diligence at New Holland Capital. The $1.8 billion portfolio of the Alfred P. Sloan Foundation has undergone a transition since Elizabeth Hewitt joined as chief investment officer in 2015. Will Maslovsky has been a key part of designing and implementing the new portfolio. A New Jersey native, Maslovsky, 38, attended the University of Delaware, where he received a BS in finance. Now, as Alfred P. Sloan's senior investment director, Maslovsky is responsible for fund sourcing, due diligence, and ongoing monitoring of the foundation's external managers. That includes hedge funds, private credit, and hybrid strategies. 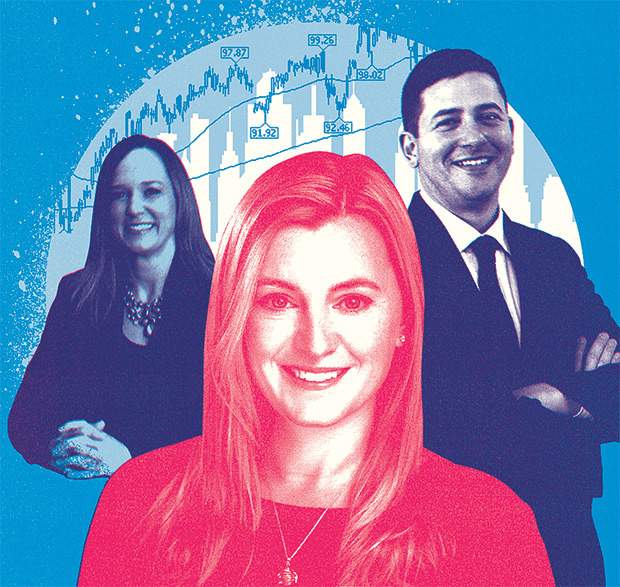 Hewitt and Maslovsky worked together back in the early 2000s at Lazard Asset Management, where they were part of a small team that built the fund-of-hedge-funds business there from scratch. So when Hewitt joined Alfred P. Sloan, she reached out to Maslovsky - who had moved on from Lazard - to see if he wanted to come onboard. Maslovsky jumped at the chance. After growing up in Chilliwack, British Columbia, Allan Merrill was the first person in his family to attend college. He received his undergraduate degree from Simon Fraser University in Canada, but it was only when he got to Harvard University, where he completed a joint business and law degree, that he really learned about the world of hedge funds. After graduating, Merrill joined Stark Investments, a multistrategy hedge fund based out of Milwaukee, Wisconsin. He left Stark in early 2007, moved to New York, and joined Eton Park Capital Management - where he's been ever since. Merrill was made a partner on January 1, 2014, and heads up the firm's merger event-driven group. With Eton Park in the process of returning capital to investors and turning into a family office, Merrill, 41, is expected to announce new career plans shortly. Call Leigh Nisonson a Renaissance woman. At Williams College in Williamstown, Massachusetts, she started out pre-med before graduating with a major in studio art. Nisonson then switched back to her left brain, earning a law degree from the University of Virginia Law School in 2004. She practiced law for a couple of years at Sidley Austin in New York, where her role put her in frequent contact with fund managers. Nisonson decided she wanted to work directly for a hedge fund - but in marketing or investor relations. When she couldn't find a hedge fund willing to hire her in the area she wanted, Nisonson left Sidley Austin to start her own business - selling art. This gave her the experience her resume had lacked. In March 2015 she was hired by Consonance Capital - a $1 billion New York hedge fund specializing in health care investments - as its head of capital raising. As hedge fund names go, Nut Tree Capital Management might not exactly trip off the tongue, but it makes far more sense in the context of Jed Nussbaum's pedigree. Nussbaum, 41, launched Nut Tree in the summer of 2015 after having spent more than 11 years at well-known distressed-and-stressed-credit hedge fund manager Redwood Capital Management. Englewood Cliffs, New Jersey-based Redwood was founded in 2000 by Jonathan Kolatch, who had previously headed up the credit arbitrage group at Goldman, Sachs & Co. Nussbaum joined Redwood in 2003, part of a second wave of talent to join the firm. A graduate of Tufts University and Harvard Business School, Nussbaum made partner at Redwood in 2010. Now, with the blessing of Kolatch and the team, he is branching out on his own. His firm launched in 2015 with $100 million and a seed investment from Investcorp. Today it has more than $400 million. Lynn O'Connell grew up in the Bronx, the daughter of first-generation Irish immigrants. Her parents, a nurse and a car salesman, moved to the States shortly before O'Connell, 29, was born. She went to public school in New York and attended the State University of New York at Binghamton, where she majored in financial economics. Graduating in 2009 into one of the worst job markets in recent memory, O'Connell landed a job as an operations associate with asset manager ICON Capital in New York. In 2012, Aksia, which had launched five years previously, hired her as a junior analyst. She has been with the hedge fund investment consulting firm ever since. Michael Orecchio likes industry. After beginning his career as an analyst and working in investment banking, Orecchio, 33, got his start in hedge funds working for KSA MidOcean, a long-short equity fund focused on global industrials and materials and headed up by industrials expert Daniel Khoshaba. Having learned from the master, Orecchio left KSA in 2013 to join new investment fund YG Partners as head of industrials and materials. This job was followed by a stint at Blue Crest Capital Management. This year Orecchio, who studied economics at Rutgers University in New Brunswick, New Jersey, joined Schonfeld Strategic Advisors. There he is incubating his own long-short equity fund focused on global industrials and materials. It never occurred to Tyson Pratcher that he would still be working for the New York State Common Retirement Fund ten years after joining in June 2007. The son of a schoolteacher and a truck driver, Pratcher, 41, grew up in Memphis, Tennessee, and attended Hampton University in Hampton, Virginia, before moving to New York to attend law school at Columbia University. After school he practiced law at Davis Polk & Wardwell for more than three years before leaving to work for the then-junior senator of New York State, Hillary Clinton. As deputy state director, Pratcher supervised the seven offices in the state of New York and was the in-state main political adviser. Pratcher left the senator's office in October 2006 and did some volunteer work for Clinton's first presidential campaign. In mid-2007 he got the opportunity to join the investment office of the New York State pension fund. Pratcher was asked to build an emerging-manager program aimed at increasing the representation of women- and minority-owned money mangers within the pension plan. It seemed like an interesting challenge, one that could keep Pratcher busy until Hillary Clinton was elected president and he found a job in D.C. That day never came. Instead, Pratcher has worked his way steadily up at the retirement fund, in 2015 becoming director of absolute return investing. Today he oversees the opportunistic portfolio. Jason Rector did not have to stray far from home to land his dream job. Wisconsin-born and -bred, he grew up in the small city of Wisconsin Dells and earned a BS in finance from Marquette University in Milwaukee, Wisconsin. Rector graduated in 2009, during the heart of the financial crisis - a hard time for job hunting - but in 2010 landed his first investment job, working in operational due diligence at Chicago-based financial services firm Mesirow Financial. He had previously interned at multistrategy hedge fund firm Stark Investments. An expertise in due diligence proved to be good training for hedge fund investing post-2008, and Rector subsequently moved on to a hedge fund investment analyst role with Mesirow. Then, in January 2015, Rector joined the State of Wisconsin Investment Board as an analyst. 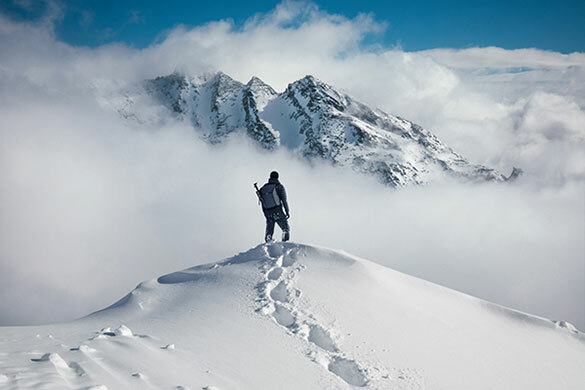 Among the most sophisticated large U.S. pension plans, the $99 billion SWIB is the perfect environment for him to thrive in. The past few years have been something of a do-over for Andrew Rechtschaffen. After graduating from the University of Pennsylvania's Wharton School and spending a couple of years in investment banking, Rechtschaffen, 39, joined hedge fund firm Greenlight Capital Management in 2002. At the time, Greenlight had only about $800 million in assets, and it took him only until 2005 to make partner. That same year Rechtschaffen was recruited to join Citadel. 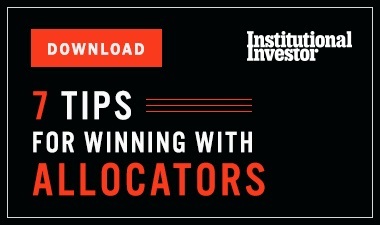 He spent a few years there, leaving in 2008 to launch his own hedge fund, Obrem Capital Management. Starting a fund in 2008 proved a challenge; Obrem sustained losses almost immediately and shut down a few years later. Rechtschaffen returned to Greenlight and made partner again in January 2014. Last year he left to launch a new firm, Arex Capital. The new fund will have a concentrated portfolio, primarily in equity but with some opportunistic distressed debt. It is expected to launch October 1. Greenlight founder David Einhorn has said there is no third shot at Greenlight partnership. 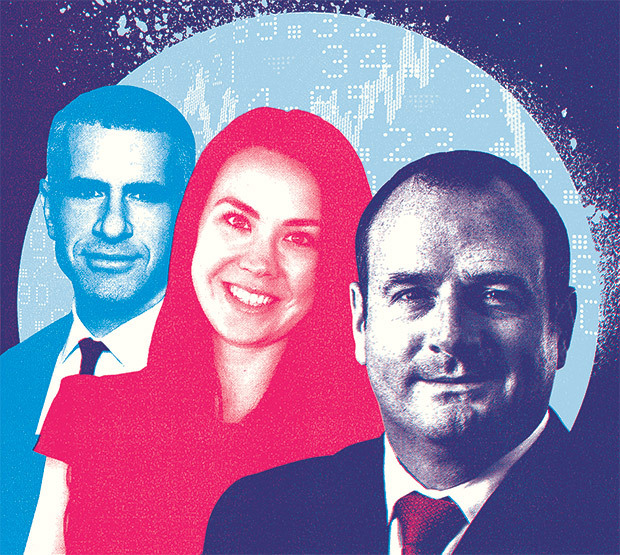 Peers and colleagues agree that Sarah Samuels is one of the emerging bright lights of the hedge fund industry. She was made deputy chief investment officer of the Massachusetts Pension Reserves Investment Management Board in April 2015, having previously served as a senior investment officer in the public markets group and managed part of the pension plan's $65 billion in assets. Samuels received a BA in German and business from the University of New Hampshire, then got her start in asset management working at Boston-based money manger Wellington Advisors. She joined MassPRIM in 2011. As deputy CIO, Samuels works closely with the CIO and has significant oversight of the fund's external managers. Among other charitable endeavors, Samuels, 35, is on the advisory committee of Girls Who Invest, a not-for-profit that aims to increase the ranks of female investment professionals in the asset management industry. In the 1970s, Devinder Sangha's parents immigrated to Toronto from India. Sangha's father is a truck driver and his mother works in a glass factory. Sangha, 37, graduated from Wilfrid Laurier University in Brantford, Ontario, with a degree in business administration. His first job was in hedge fund administration for Cisco. In 2006 he joined Albourne Partners and helped the hedge fund consulting firm, which started in the U.K. in 1994, launch its Toronto office and build a presence in the Canadian market. Sangha started out on the hedge fund's due diligence team and spent some time in the San Francisco office before moving to New York. Today he leads a team of analysts responsible for operational due diligence of multistrategy and event-driven managers. Lately he has taken on more of a client-facing role. It's not that Ruchit Shah didn't like being a lawyer. He just found something more interesting to do. Born in India, Shah, 33, moved to the U.S. when he was four years old. Then, from age nine to 15, he and his family lived in Saudi Arabia; Shah's father is in the oil industry. He finished high school in North Carolina before attending college at the University of Texas at Austin. He went on to get his law degree from the same institution before going into law, working for Baker Botts. He then became special council to the lieutenant governor of Texas, working on energy policy before joining the Texas Treasury Safekeeping Trust Co. in 2014. He oversees the alternative and private credit portfolios at the $50 billion trust fund. When former Soros Fund Management portfolio manager Randy Yuen launched his own firm, New York-based Jafra Capital, which went live in mid-2016, he took Amy Sutter along with him. Sutter has a BS in accounting from Pepperdine University and an MBA from the University of Pennsylvania's Wharton School. She started out her career in human resources with Microsoft before moving into the asset management industry with a position in equities at California bond shop PIMCO. Sutter started out her career in hedge funds at GLG as an equity analyst specializing in the tech sector, then moved to Stanley Druckenmiller's Duquesne Capital for a year before rejoining GLG in 2010. At Soros she was a senior equity analyst specializing in tech. Growing up as one of eight children, Tarek Turaigi didn't have a lot of money for college. Though he was born in the United States, Turaigi, who has dual American and Saudi citizenship, grew up in Saudi Arabia. He studied hard for a national test, did well, and was awarded a full scholarship by Saudi Aramco to attend Virgina Tech, where he majored in accounting and information systems. After graduating, Turaigi went back to Saudi Arabia to work for Aramco. The Saudi oil and gas company also paid for him to attend business school; he received an MBA from IESE Business School in Barcelona, Spain. Turaigi started out at Aramco working as an internal auditor, but after returning from Barcelona, he decided he wanted to switch to investing, and he joined Armco's private markets team. In fall 2015, Turaigi, 34, was given the opportunity to do a two-year stint with KAUST Investment Management Co. Based in Arlington, Virginia, the KAUST investment office manages the endowment of the King Abdullah University of Science and Technology. Turaigi works in the hedge fund group at KAUST. Scott Werthamer may not have the greatest timing in the world, but things usually work out for him. Take marriage. Werthamer met his wife, Emily, when they were both trying to hail a cab at a busy intersection in New York. He suggested they share a ride; she turned him down. It was the subsequent intervention of a doorman - it turns out the would-be couple lived in the same building - many months later that led to a date and, eventually, marriage. In January 2008, Werthamer joined Fortress Investment Group, where he worked in the structured products business, having proposed that FIG could raise money by launching a permanent capital vehicle. The strategy was all the rage at the time - Werthamer, a graduate of George Washington University, had been working at Morgan Stanley selling just such products to hedge funds. But the financial crash of 2008 really put pay to that business. Fortunately, FIG hadn't been able to get its vehicle off the ground. The liquid-markets team liked Werthamer, and he joined them in a capital-raising and investor relations role. By the time FIG closed that group in 2015, Werthamer had long since moved over to the credit group. It's one of the most anticipated launches of 2018. Todd Westhus was a star portfolio manager and managing partner at Perry Capital. A member of the credit and special situations team, he was responsible for some of the firm's most interesting, complex, and profitable investments of recent years. When Richard Perry announced last year that he was closing down his eponymous hedge fund, it was almost a given that Westhus would go on to do his own thing. Indeed, he plans to launch Olympic Peak Asset Management in early 2018. He is founding the firm with another Perry managing partner, Doreen Mochrie, who was global head of sales and investor relations. Westhus, 41, joined Perry in 2006 from Avenue Capital, where he had been a vice president focusing on distressed opportunities across the capital structure at automotive, paper and packaging, chemicals, airlines, and gaming companies. He has a BA from Duke University, where he majored in economics and biology. Technology is the big disrupter. Seth Wunder plans to profit from such changes by identifying technology winners and losers across all sectors. A former portfolio manager with Contour Asset Management, a long-short equity fund focused on technology, media, and telecommunications, Wunder moved to LA and launched Black-and-White Capital in June 2016. Wunder, 39, who graduated from Cornell University with a BS in applied economics and business management, got his start as an analyst with Morgan Stanley. Having graduated from Harvard University with a BA in engineering science, Katherine Yearwood got a job in 2005 on the interest rate structuring desk at Barclays Capital in New York. In 2008 she left Barclays and joined New Holland Capital, the external hedge fund manager of Dutch pension plan ABP, where she spent more than five years as a portfolio analyst. From New Holland, Yearwood moved to the fund-of-hedge-funds firm EnTrustPermal. Then in late 2016 she joined high-net-worth advisory firm Bessemer Trust as a vice president and senior hedge fund analyst. Growing up in a small city in Chuxiong in China's Yunnan Province, Mi Zhou was particularly inspired by a famous quote from a Chinese scholar: Read ten thousand books. Travel ten thousand miles. She wanted to travel the world and knew education was the key to making that happen. In 2002 she received the highest national university entrance exam score in her province and was admitted to Tsinghua University in Beijing, a 40-hour train journey from home. Zhou, 33, got on the train and started her new life. She majored in finance and economics and started her career as a consultant with McKinsey & Co. She then decided to go to business school in the U.S., graduating from Harvard University in 2011 with an MBA. In 2013, she joined Citadel's investor relations team in Hong Kong, having previously worked on the equity research team at UBS. Her timing was good: China is hungry for hedge funds.